Old Dairy - Red Top 3.80 Best pint of this I've had to date. Mid evening. Only a handful in despite a duo playing live music. 6 of 7 ales on, but didn’t note them all. Springhead - Fallen Angel 4.50 Lively with a hint of lemons. Whitstable - Christmas Spirit 4.60 Little life in it. Christmas tree was up. Nice. Tonbridge - Countryman Green Hop 4.00 Top stuff. Hop Fuzz - The English 4.00 Earthy brown bitter. 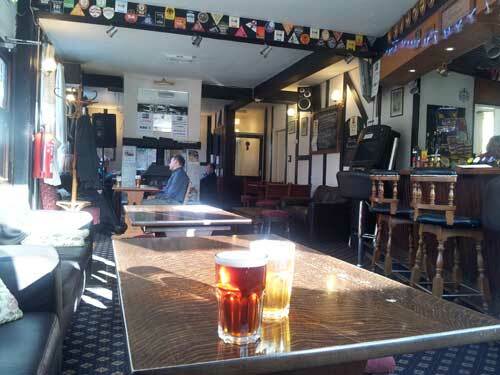 Early lunchtime - I was the only customer - shame, a good freehouse with interesting ales. I was offered a CAMRA discount without asking - bringing a pint to £3.24 - probably the cheapest in Canterbury outside a 'spoons. Wantsum - Montgomery 4.00 Really tasty - good balance of malt and "American hopped" flavour without being OTT. Springhead - Surrender 4.80 A bit whiffy to start unfortunately. Fine as it went on. Sat outside and watched 2 guys paint the house opposite. Old Dairy - Copper Top 4.10 Bit woodier than I recall but stil nice. I sat out the back in the yard that overlooks the Canterbury-Dover train line (or at least the trees on its banks). Very relaxing. I think I've been coming here for 16 years now. Made me think back to the glory days of Keith behind the bar. Not many in. Friendly as always. Musket - Matchlock Mild 3.80 Dark mild. Low hopping. Oily tartness. Nice. 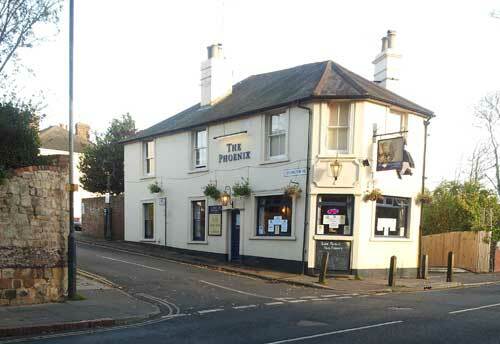 The pub is found in Canterbury, Kent, CT1 3DB. We have visited this pub 134 times, seen 289 different beers and tried 134 of them.